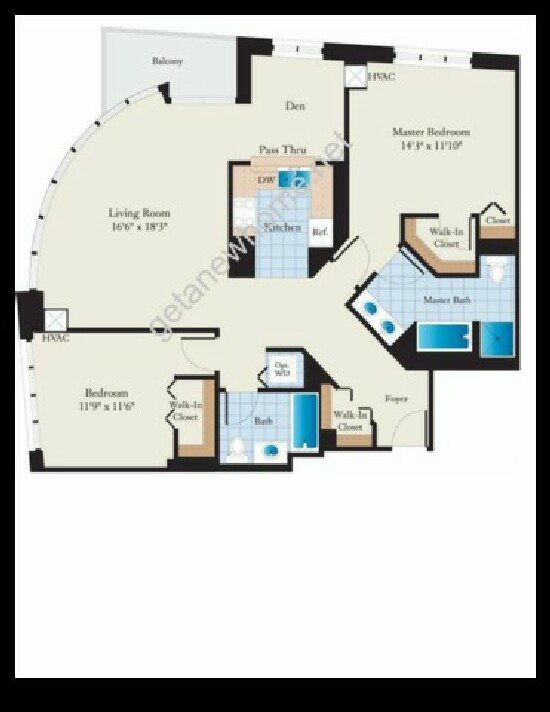 Background on the sale: We priced this condo $15,000 higher than the highest sale of this floor plan over the past 12 months. We listed it on a Friday and by Monday had approximately 20 showings with 3 offers. 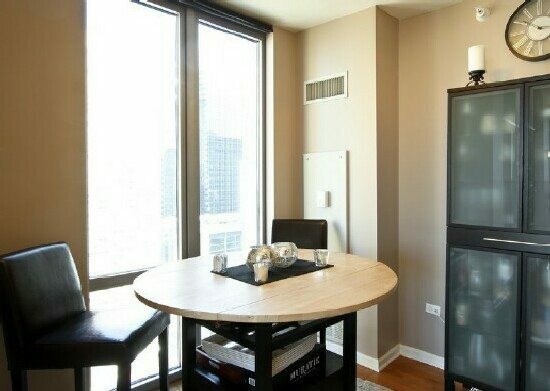 All showing requests were accommodated with the listing agent present and coordinated with the tenants to minimize the disruption to their lives. The highest offer was $2000 under the list price, confirming that the pricing was spot on. 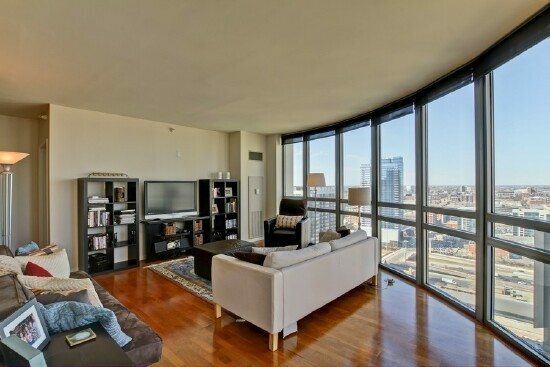 Property description: This 1,350 square feet condo features hardwood floors throughout the living and dining areas with dramatic curved floor to ceiling windows that highlight the stunning northwest view of the city. Step into your kitchen and enjoy marble and granite countertops along with stainless steel appliances. 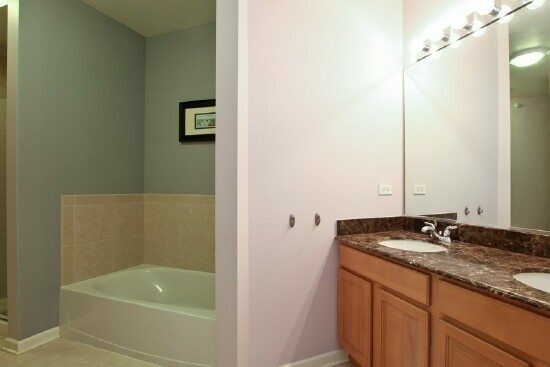 The master bathroom features Kohler fixtures, a separate tub and walk in shower and a double vanity. 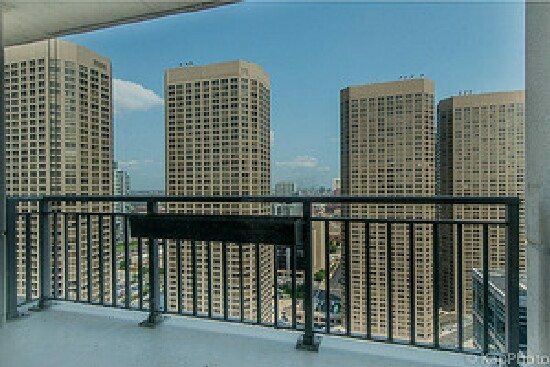 North facing balcony, in unit washer and dryer, security system, 3 walk in closets, fitness center, 24 hour doorman, pet walk and an outdoor terrace are all part of this package. 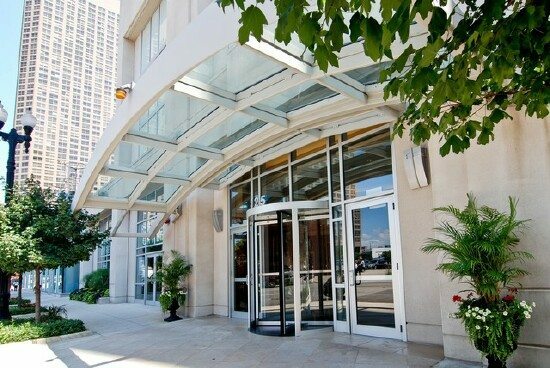 Monthly assessments include heat, air conditioning, water, gas, cable, exercise facilities along with all of the great building amenities. Garage parking is an additional $25,000. 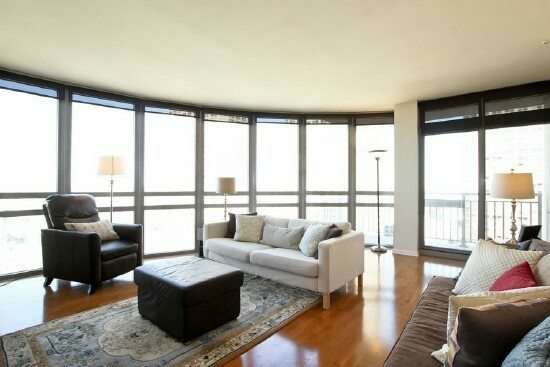 This room is great for entertaining your most discriminate guests with hardwood floors and the dramatic curved floor to ceiling windows that highlight the stunning northwest view of the city. The bright separate dining area also has floor to ceiling windows and hardwood floors. 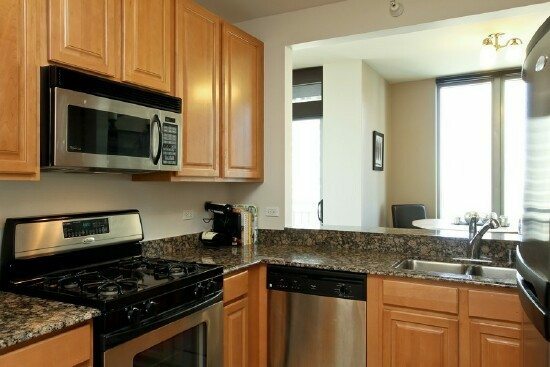 Marble and granite countertops, stainless steel appliances make it enjoyable to prepare your meals. Nice size master suite with a walk in closet and a fabulous master bathroom that has Kohler fixtures throughout, a double vanity and a tub with a separate walk in shower. 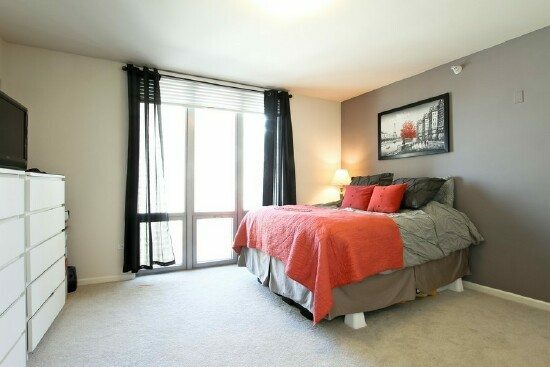 This large bedroom features floor to ceiling windows and a very large closet. 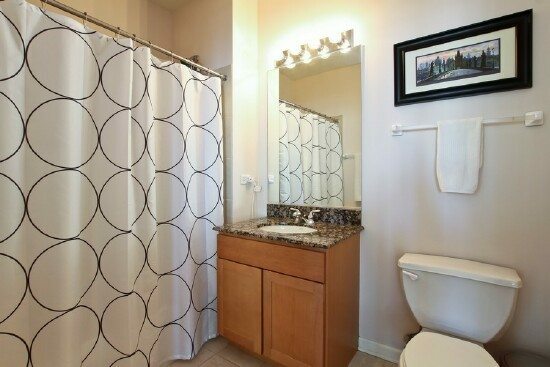 2nd full bathroom with neutral finishes. North facing balcony makes this space great for grilling or relaxing on a warm summer’s night. 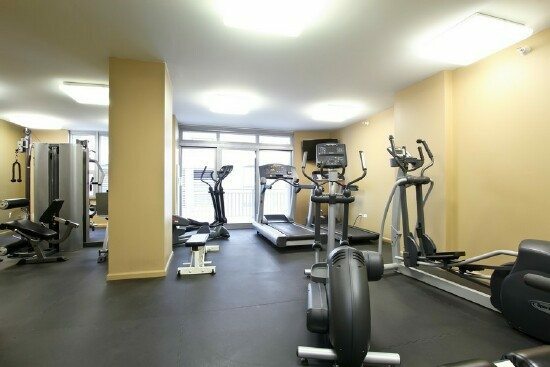 Exercise room located on the 6th floor. 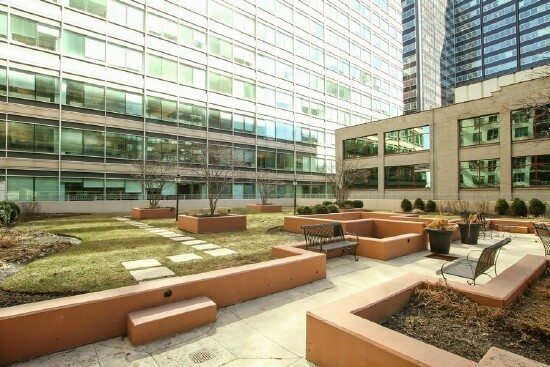 This fabulous outdoor space is for everyone to enjoy, includes a dog run and terrace, located on the 6th floor.